The Hugo Boss Essential Rose Gold range brings a luxurious splash of rose gold to the sleek, tapered profiles of the Essential range. Matte black barrels feature finely engraved diamond patterns, offering an aesthetically pleasing texture and a tactile writing experience. 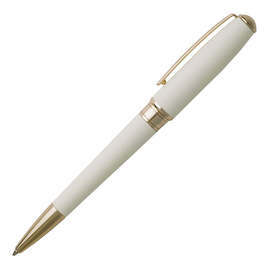 Brass barrels give the pen a reassuring weight and good balance in the hand. 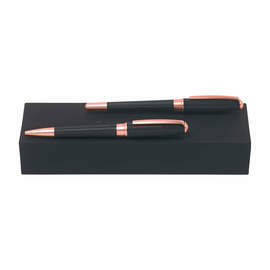 Rose gold metallic accents make this variation on the classic Essential design resolutely modern. 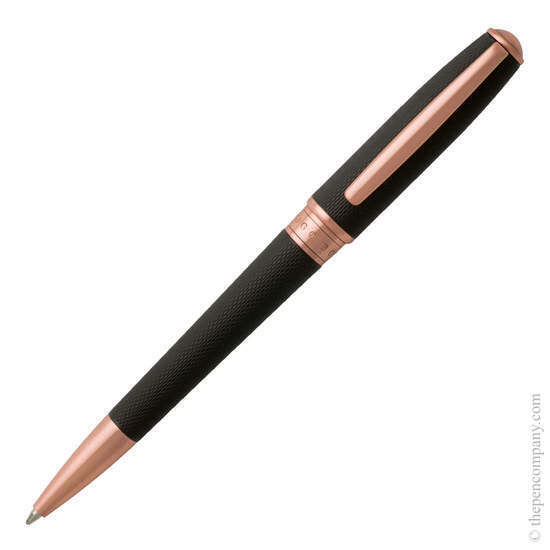 The cap twists to extend and retract the ballpoint. 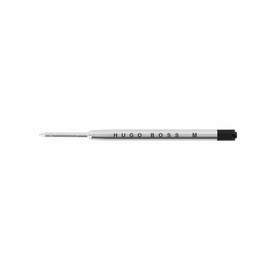 Accepts standard G2 refills and comes complete with refill, ready to use. Presented in a matte black box.